Why Indian and why not Mauritian you ask? Well for starters my heritage is Indian and this is an homage (sort of) to women on social media. What initially drove me to Twitter was the 2008 Presidential elections in the US. I had no idea what it was but if CBC was on it, I should have been on it ten minutes ago (with all due to respect to our state broadcaster). But what kept me on Twitter was my love for current affairs, fashion and street style. I would not call myself a fashionista but I could spend hours looking at street style blogs and just admiring the art of casual styling. Panag is an ex Miss India from the late 90s. Normally a beauty queen would have faded by now but not Gul. She has used Social Media mainly to discuss her love for adventure sports and spread awareness about women related issues in India. Her quirky tweets and active engagement with users have quadrupled the number of her followers. 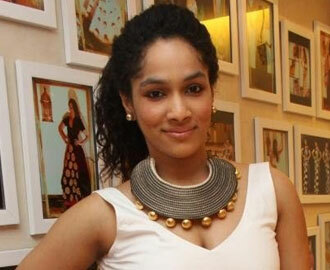 Masaba Gupta is a fashion designer. I don’t think it would be too far fetched to say she is one of the first born out of wedlock love child openly embraced by the media. Her mother is the famous TV actress Neena Gupta and her dad is the famed West Indian cricketer Sir Vivian Richards. Her tweets are reflective of new India – modern, unapologetic, devil-may-care. But she is no celebutante with famous parents. She is an up and coming fashion designer who has revolutionised the landscape of Indian fashion. Her designs stand apart from the crowd. Kaling started her career as a writer on the TV show “Office” and eventually made her way to the permanent ensemble of the show. Her wit and candour is unstoppable and wonderfully (and hilariously) documented in her book “Is everyone hanging out without me” which is quite a page turner (and an excellent summer pool-side read if you are looking for one). She was also featured on the cover of Fast Company magazine before her current show “The Mindy Project” premiered. The feature covered her social media reach and engagement level and she also discusses her reasons for using Twitter. Please note: These images have been sourced from the web, if anyone has any objection to them being used in this post, please let me know and they will be promptly removed. Thanks for these suggestions. I’m going to follow them too!